I have been so excited to share this tutorial with you. Out of all the elements in my new office I have received the most emails about these shelves. When you have a small space the smartest thing you can do is go vertical. I was NOT taking advantage of the wall space in the way my office was done before. I knew I wanted shelving but I did not want a giant wall of built in shelves because I thought it would feel too heavy and would make the space seem smaller. 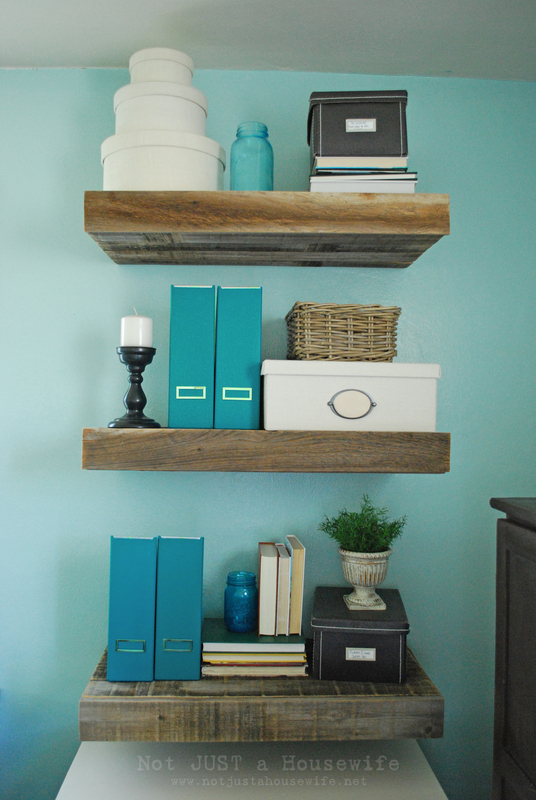 I love the openness of these floating shelves! Remember when I revealed my office and I said that my shelves had a secret???? Eeeeek! They are also drawers!!!!!! 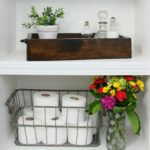 I love it :) When I was brainstorming for ways to add much needed storage to this space I thought, why not this? 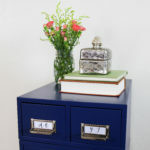 Granted the drawers are only 2 inches deep, but they are perfect for paper! Anything else would probably be too heavy anyway. Right now they are filling up fast with my kids artwork and school work that I will one day put into scrapbooks, and with things I am too lazy to file away. Alright, on to the tutorial!!! I decided how long I wanted the shelves to be and then measured and cut the wood pickets to that length. 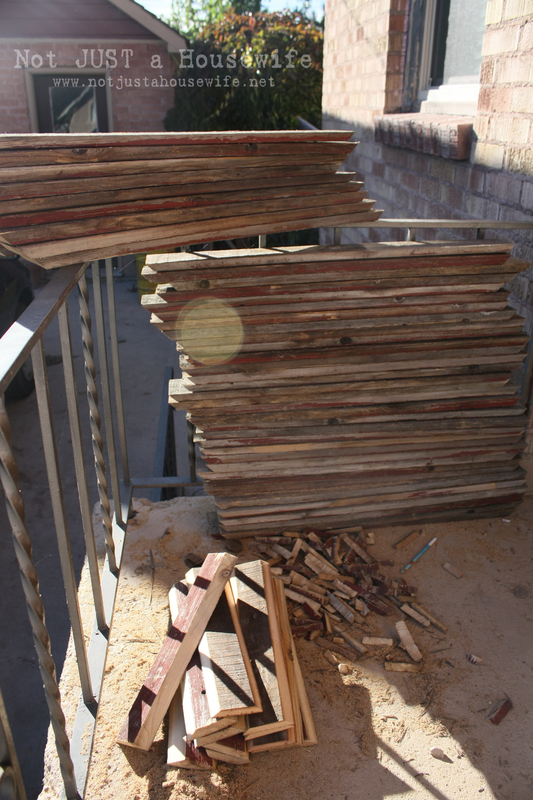 There would be 6 shelves total and it took 4 boards for the top and 4 boards for the bottom so I cut (48) 30 inch boards. Then I cut 12 boards for the sides. After I did that I needed to cut the enda at an angle (mitered cut). I used the miter saw and cut at a 45 degree angle. I swear I had my husband take a picture of me cutting at an angle but I couldn’t find it in my computer file. Sorry about that. If you look closely to the picture you can see the angled ends. For the side pieces, the long side needed to be cut at an angle, not the end. I sent my hubby to the neighbors to use their table saw while I was doing the other cuts. (Dear Santa, I need a table saw…..) You can see the smaller side pieces in the picture too. When I talked about building the bench that is on my office, I mentioned that picking out smooth, straight wood was critical to building furniture. Well, new fence pickets are not straight and smooth let alone OLD ones. So I broke that rule. And it made it a little more challenging when it came time to construct. But the end result was totally worth it! It was kind of like putting a puzzle together. I placed different pieces together and saw what worked the best. Sometimes I had to flip one over or switch it out. Then I glued and nailed the pieces together. What you will have when you get done with that step is a long rectangular tube. You will have sides and a top and bottom. The next step is to mount some boards to your wall. These boards will be the way you attach the shelves to the wall. I used 2×3 boards. I measured where I wanted them to be, marked it with pencil, and then I used my level to draw straight line. I drilled a pilot hole ( a hole drilled through the board that is smaller around than the screw) through the 2×3 before screwing them to the wall. I used 5 inch screws.Make sure they are level. I have lath and plaster walls since my house was built in 1949, but if you have a newer home make sure you look for studs. Then you will take the shelf and slide it onto the 2×3 board. Usually when I build floating shelves with new wood they are a perfect fit and are nice and snug. But these old boards were a different story. Some were too snug, some were a little loose, and some were way, way loose. Some boards bowed up and some bowed down. I just rolled with it. I cut strips of thin plywood and shoved them under the 2×3. You can see it where the red arrow is in the picture. Then when it was some what snug, I screwed screws through the top of the shelf down into the 2×3. I did about 5 screws across the top and then one screw in each side. As far as the drawer construction went, I waited until the shelf was built so I could get an accurate measurement. I used thin plywood for the bottom and 1×2 for the sides. I just nailed them together (with a little glue). They are very basic. No fancy sliding hardware to make them glide in and out. But they work well and I think it adds to the rustic-ness (yes spellcheck, that is a word!). Now I love your shelves even more. The drawer for extra storage is genius! I have to think of a room I can use these in. This was so freaking clever! Wow! Love this!! I love these! Just like you, I want a table saw. Been asking hubby for one but he’s not buying it. I think I died a little. Your floating shelves have hidden drawers…OH EM GEE. Ingenious! These shelves are so great. Love that they are drawers too. You are pretty handy with them power tools! Both beautiful AND functional! The secret drawer is a touch of genius! 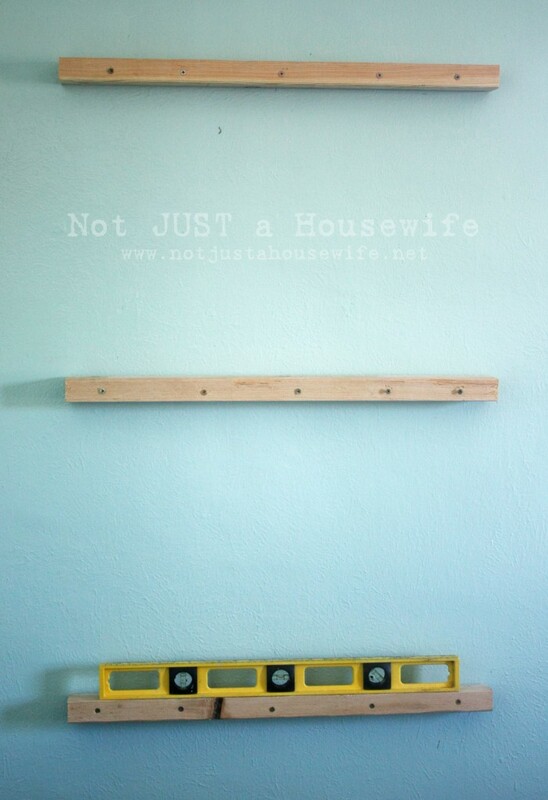 I love these and will definitely be making some for our home too. *Pinned* Thank you! Btw – There’s nothing I like better than the natural colour of wood against clear blues. Lovely! They look beautiful with the rest of your color and decor! I LOVE the mini-drawers in them! Love. Love. Love. Genius idea!!! Very cool! Way to get down with the power tools. Brilliant! I love that they have little drawers. Makes them even more spectacular. Such a great project, and the look perfect in your new office! omg, I have been dying to build some floating shelves and THIS is the PERFECT thing! so much simpler than others I’ve seen and cooler too! I never would’ve guessed there was a drawer hidden in those! I love that it’s made out of wood that looks like real wood. It gives it and earthy feel. I’m in love with your entire office. Followed you from Crafts Keep Me Sane. 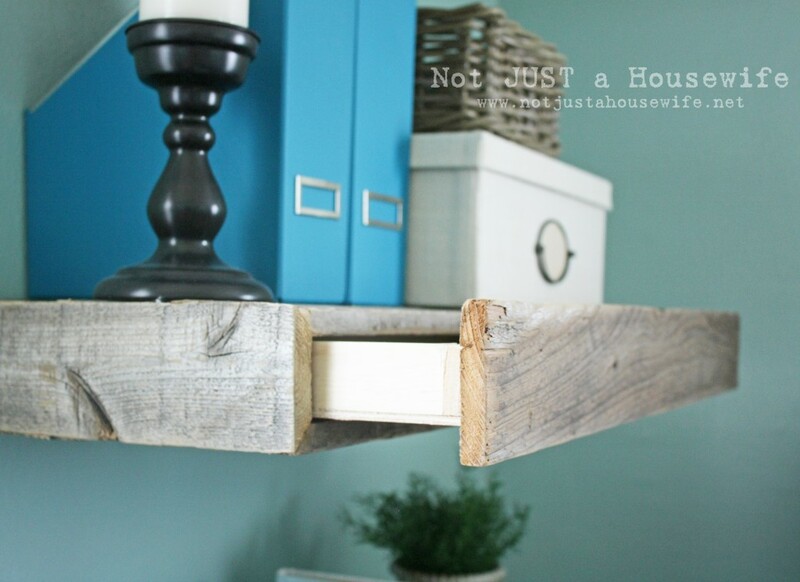 So glad you used reclaimed wood! 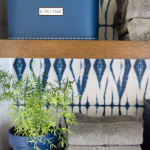 Had to share with my readers over at Blue Velvet Chair…recycled and repurposed is what we love! Yay, finally the tutorial for the shelves, Iv’e been waiting for this. And now that you revealed they are drawers I love them even more. Granted this will go on my huge list of projects but I will eventually make them for the living room. Thanks for the tutorial and I adore this room!!! These are awesome!! I love they they are old pickets. What a great upcycle!!! Nice work. I agree with everyone here: very creative/innovative use of reclaimed material. You could even hide jewellery in there! Great tips. Canada’s largest IKEA store will be opening here in Ottawa tomorrow and I’ll definitely be picking up a few items. You are my hero with the power tools! Those shelves/drawers are amazing! This is such a great idea! Loose papers are my nemesis. I love that you found a sneak (and attractive!) way to contain them. Awesome. You never cease to amaze me! Love the shelves, and the hidden drawers. Genius. Totally awesome tutorial as always and I’m going to have to have a go at these. I have a table saw (well hubby does) but it’s the one tool that scares the life out of me for some reason and the only power tool I refuse to use. lol. love ya, you are amazing. I love your shelves. They are amazing, especially with the drawers. Your office is gorgeous. Oh my goodness, I love love love the drawers! 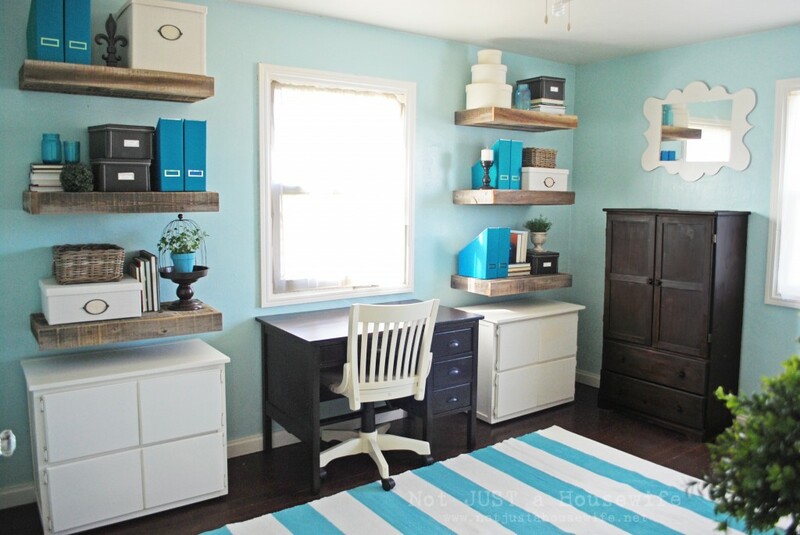 I loved the shelves & how they add so much storage space. But the drawers, aaaahhh! So awesome. I hope to be able to do this one day. Oh my goodness, I love love love the drawers! I already loved the shelves & the fact that they’re made from reclaimed wood. I love the coloring scheme. But the drawers? aaaaahhhh, I’m just speechless. I hope to be able to do something like this one day. 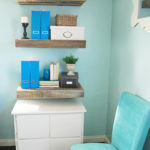 great tutorial-i love hidden storage!! 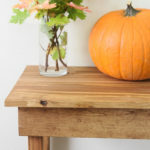 This is SO inspiring – I’m just discovering the world of reclaimed wood and am falling in love – I need some sort of beautifully cool displays for my inventory on a zero budget and felt rather hopeless until I saw this post! wow, very impressive. Mad skillz! I must give these a try. I noticed that the ends are mitred- I assume that those cuts require a table saw (sigh! to have a table saw) or did you use a sliding compound mitre saw? 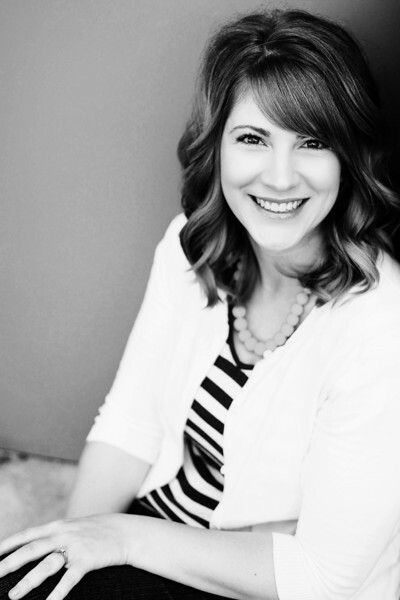 Just found your site and I am so impressed! I love it when I find women who build themselves. I’ve built a few things and love these floating shelves, the rustic wood mixed with the modern design and the thickness. Very cool. I’ve built basic white floating shelves with a 1×2 frame attaching to the wall then the cover sliding over the top. Drawers are an awesome idea! 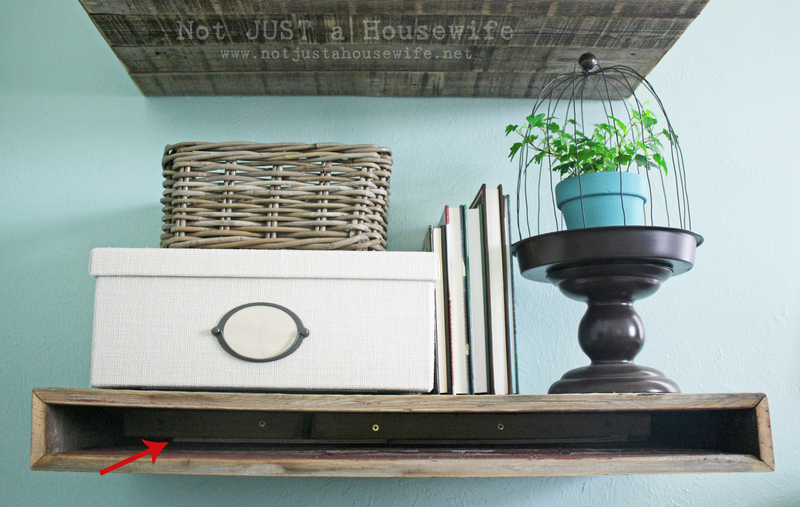 These are great and just what I’ve been looking for in my own home and my DIY nature. Just wondering though about the strength and weight they can handle. How much weight would be safe? I can’t find the words to describe my love for these shelves, they are absolutely amazing. You are quite the talent, and how did you come up with the design? you are a true inspiration. Love, love it. I absolutely LOVE these! 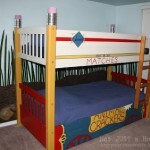 I am going to try to make them from some old pallets. How wide were each of your fence pieces? 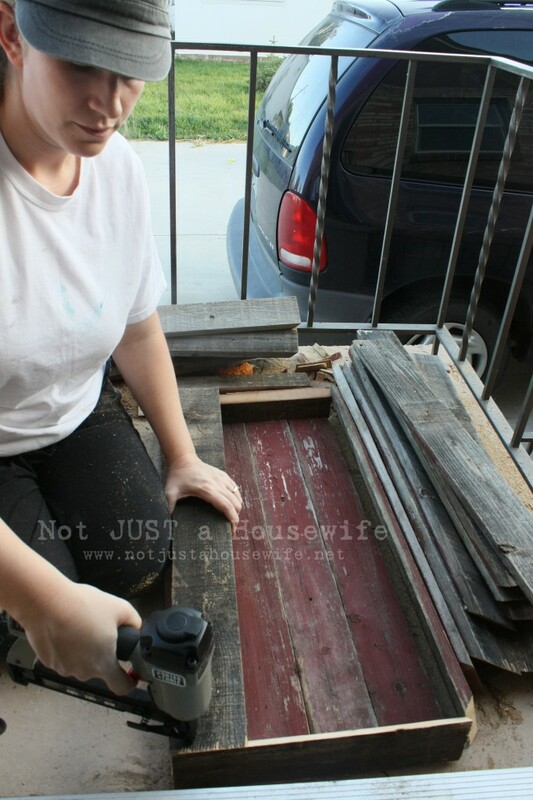 i know you said you used 4 for the top and bottom but im just wondering if my pallet boards are skinnier or wider. Thanks! 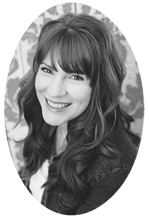 Not knowing any other moms like me, I am glad I have discovered some in the blog world. I too, am an avid woodworker. Unlike you, I didn’t start when I was a kid though. I started cause my husband has no interest in it and because we didn’t have the money to hire it out. I agree, it’s much better than just being able to buy everything new. I am pregnant with my 10th kid and I also lust after a table saw and dream of wood shop. I don’t really like using the table saw but they are certainly useful. My favorite saw is a miter saw. The first saw I bought myself (that wasn’t one of my brother-in-laws cast-offs) was a jigsaw. I chose a barrel grip one that I bought online because the handle is closer to your work (better control?). I did not know this meant giving up a variable speed trigger! So mine is either on, or off. Oh well. When you buy a table saw, mention what kind you went with and whether you like it. You do beautiful work. The shelves are beautiful. I am looking forward to browsing the rest of your blog (as I just stumbled across it today) and bookmarking it for the future. You welcomed questions. I have two. 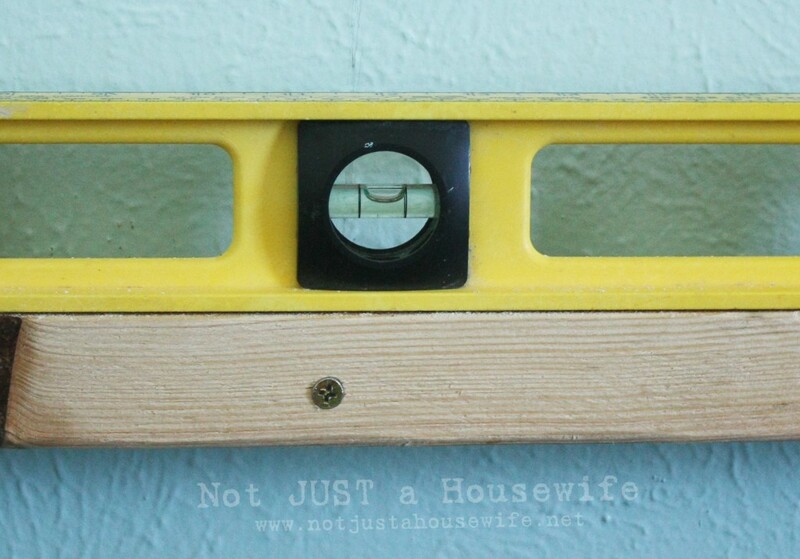 So you put the “2” side of the board against the wall when you mounted the 2×3 cleat? And also, how did Better Homes and Gardens become aware of you (and Reader’s Digest, etc) in order to contact you? Wonderful! Just what I was looking for and more! I am going to make some. I stumbled across this project as I was wandering through the Ana White blog. This little shelf is going to go with a jewelry chest I am making. I think above the chest, I’ll put one of these “secret” drawers just below the mirror. I can put trays out on top, and put my most expensive and treasured pieces in this drawer. Then it will be hidden for “just in case.” Thanks so much for the tutorial! the order to the customer. 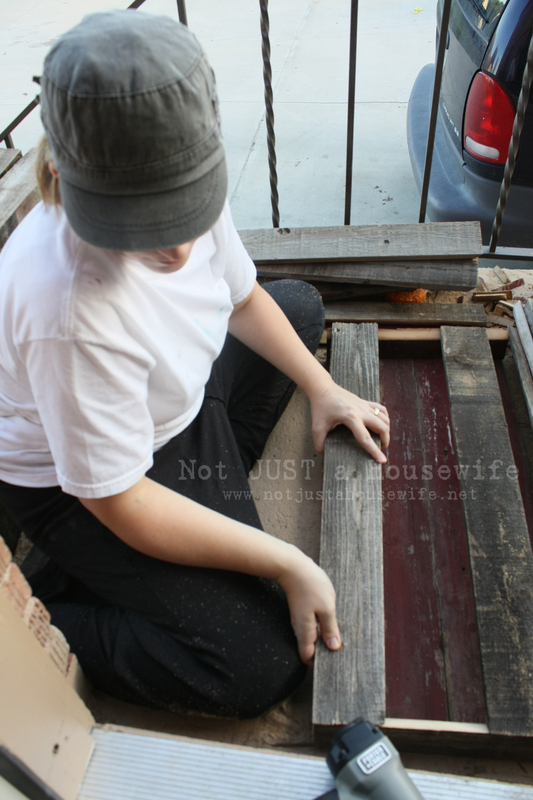 And on this post Reclaimed Wood Floating Shelves | Not JUST A Housewife. are posting on additional sites, I’d like to keep up with anything new you have to post. Do you make these for other people ? Hi Stacy, these are great shelves but I am a bit concerned about how strong they are since they have drawers. I would love to make them for my bathroom but I’m not sure they would hold all my stuff. What do you think? 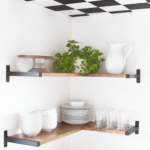 I love the way you made shelves out of wood from branches and used wood. Love it. Girl, you ROCK!!!! I love the secret drawers!!! 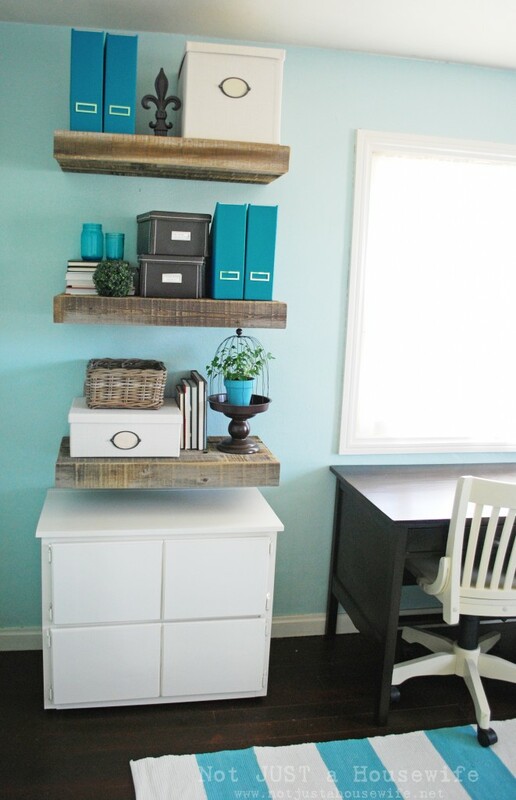 I feel like it’s a challenge to build floating shelves, especially with how to make it sturdy and reliable. I’m impressed with how you added secret drawers to it too. This is a really great project! Thanks for sharing. I loved how you said that you should utilize the vertical space of your apartment if you do not have a lot of room. My wife and I just moved into our first apartment and we have had no space to put our books and movie collection. We may have to look into ordering some materials that can help us install hidden shelves on our wall.